From a homeowners perspective, the garden is one of the focal points of any home. Whatever the occasion, gardens are perfect for those relaxed days in the sun or parties with family and friends. Capitalising on our affordable, quality garden covers and protecting your garden furniture is a worthwhile investment, especially since damage can be expensive to repair. On the other hand, wholesalers and retailers would have entirely different considerations. First and foremost, they would consider whether an investment into any venture is worthwhile, and whether or not it promises a healthy return. Hence, a wise first step would be to conduct market research into patterns of turbulent weather conditions within areas with a large proportion of homes with gardens. While market research is a vital first step, theory must be put into practice in order to obtain any quantifiable results. Thus, the next step would be to procure a small quantity of quality garden covers, at the most affordable price. This gives retailers not only confidence in the product, but also, the rate at which the items are sold would give the retailer a clearer indication of how well the item would sell in the future. The garden covers market is highly concentrated within the UK. This region is home to unpredictable and extremely volatile weather conditions. For this reason, damage to garden furniture is a common occurrence. 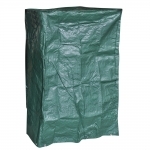 This creates a huge demand for products like covers that can protect valuable garden artifacts. In accordance with the fundamental Law of Economics, this demand has caused a surge in the supply of these particular products, essentially flooding the market, and hence the challenge for all wholesaler and retailers is to maintain profitability, while also being as affordable as possible. However, this creates a fantastic opportunity for customers. High competition between retailers drives down the prices of these products, making this the perfect time to buy. Moreover, due to the saturation of the market, potential customers can shop around and would find products to meet almost any need. So now you’ve find the right supplier, providing a quality service at an affordable price. Are there any other considerations to be made? In fact, there are many. Firstly, every garden has its own unique flair and personality. Consider this carefully when choosing covers. Gardens with vast areas of plants, grass, vegetation and greenery would probably suit green covers, to flow with that nature-y vibe, while colours such as blue would clash and look out of place. Meanwhile, gardens with a more urban style would probably suit colours such as black or blue. At the same time, consider the size of your garden furniture carefully. Garden covers do not come in one-size-fits-all! Invest some time into making measurements, saving on the hassle of having to go through any long winded returns procedure. Another worthwhile consideration is the material of the covers. In our experience, Polyethene covers are worthwhile investments. Not only are they strong, durable and easy to clean, they’re also 100% recyclable! From the perspective of a customer, the choice of supplier is based on two main considerations, cost and need. However, online retailers have much more to consider. Firstly, as mentioned in a previous blog, the retailer must ensure that not only are the products affordable and profitable, but also that the quality of products provided by the wholesaler meets an expected standard. Poor quality items would reflect negatively on their own business, and so online retailers would need to ensure the wholesaler can provide quality items. Moreover, it is a poor reflection on a business which cannot provide a range of items to their customers, not to mention damaging. Loss is incurred by turning away custom and so it is in online retailers best interest to ensure their wholesalers can provide a range of products, in varying sizes and colours. An added ease for online retailers is the possibility to dropship items. Dropshipping is the process by which customers place orders with an online retailer, which are then forwarded by the retailer to their suppliers. The supplier then packages and ships the items directly to the customer. This relieves the online retailer from the hassle of handling the product directly, as well as the cost of storage, packaging and shipping of items. At Dropship Wholesalers, we strongly believe that garden covers are one of the most profitable items for online retailers to dropship. Not only do we provide the highest quality covers, but also provide them to our retailers at the most affordable, competitive prices. Please see here for our full range of garden covers and products. From a homeowners perspective, garden furniture is a huge investment of money. It is hence vital to ensure that this investment is protected. Here at Dropship Wholesalers, we provide our customers with the finest quality, strongest, durable and easily cleaned covers to assure the longevity of all garden furniture. Finally, online retailers are given the advantageous option to be able to dropship our items. This not only saves them the costs associated with storing, packaging and shipping items, but also the inconvenience of the entire process. Don’t miss out on any of our fantastic deals, come visit us today at https://www.dropshipwholesalers.co.uk/ to see what we can do for you.